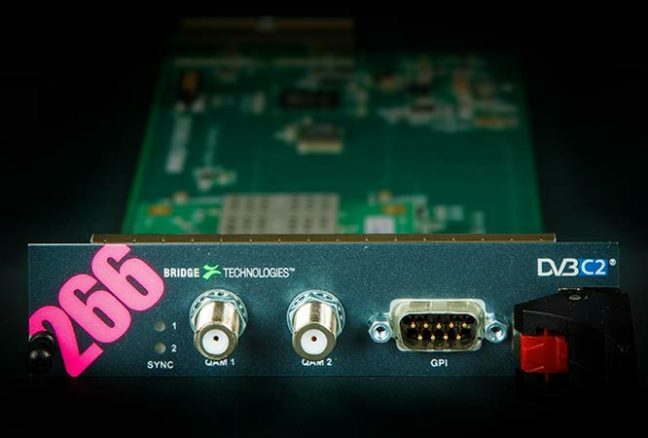 QAM DVB-C/C2 RF INTERFACE CARD On the cutting edge of technology is the VB266 Dual QAM/DVB-C/C2 RF Interface with all the modulations available from QAM16 to QAM4096 for modern networks with high-density MPTS transports. Up to two inputs on each card will, together with the VB120 or VB220 controllers, give four inputs in a 1RU chassis. A complete configuration with a fully licenced VB120 provides real-time monitoring and alarming for four QAM inputs, 50 IP MPTS/SPTS multicasts, upgradable in steps of 10 from an initial 10 streams, and an ASI TS input and output. 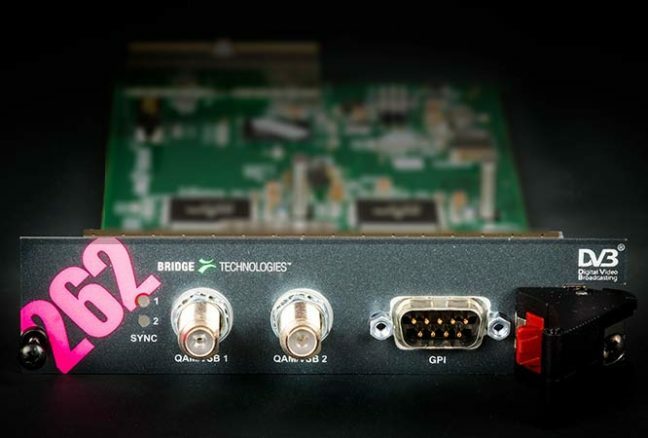 ETSI TR 101 290 analysis and monitoring is performed in parallel for the QAM inputs, the ASI input and the IP input. 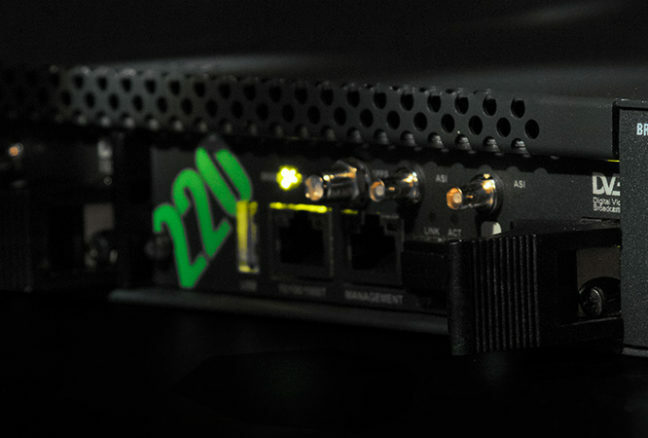 If the VB220 is used as master card, the IP monitoring capacity is increased with impressive 260 MPTS/SPTS multicasts in addition to the RF inputs. The combined unit is ideal for hybrid networks where IP is used as a carrier from head-end to the regional edge multiplexer/modulator. 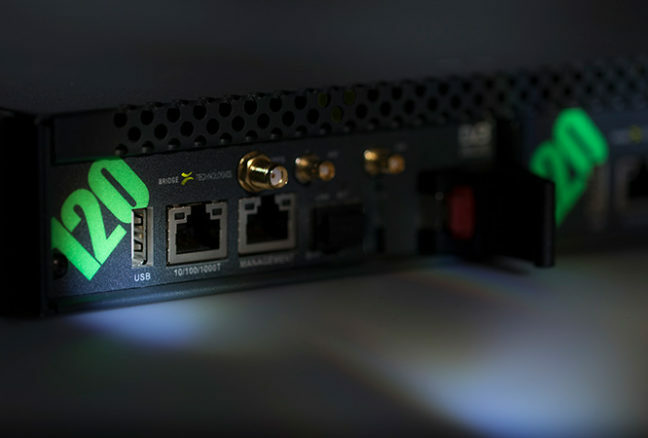 The built-in round-robin functionality allows sequential analysis of multiple QAM multiplexes, making it possible to monitor the total broadcast contents of a cable transmission system using a single VB266. The VB266 Dual QAM DVB-C/C2 input option card is an ideal solution for complete monitoring in DVB-C/C2 or hybrid DVB-C/C2/IP networks. One VB266 module is capable of demodulating two multiplexes (one per input) for ETSI TR101290 fault detection and alarm generation in the full frequency band (44Mhz –1GHz).